During the week when we were in Georgia, we had to figure out our itinerary for the next couple of weeks. In particular, the Caspian Sea and the countries surrounding it require some plans to be in place. We were not keen on going to Azerbaijan, since it would‘ve added a lot of extra miles if we wanted to see the Chechen Republic. So being able to enter the southern republics of the Russian Federation directly from Georgia was good news: North Osetia, Chechnya, Dagestan. Places you often hear about on the evening news. 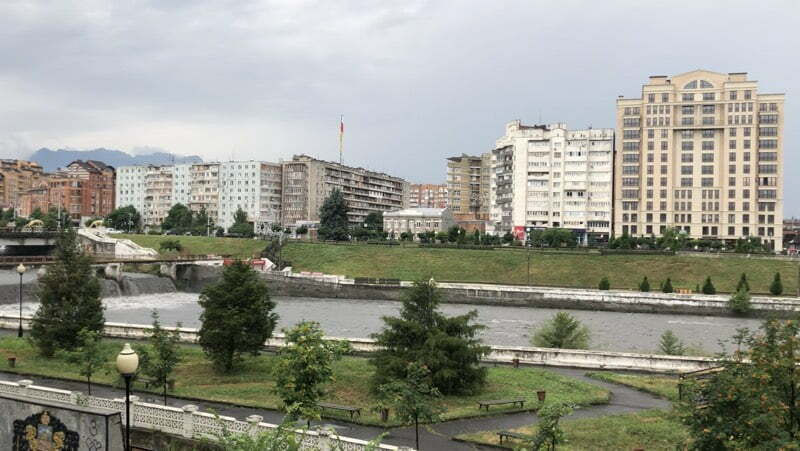 However, not having to go all the way to Azerbaijan didn’t mean we still didn’t have a long way to go until the Georgia-Russia border crossing. So thanks to our badly organized itinerary in Georgia, we were driving up north on the Georgian Military Highway again. 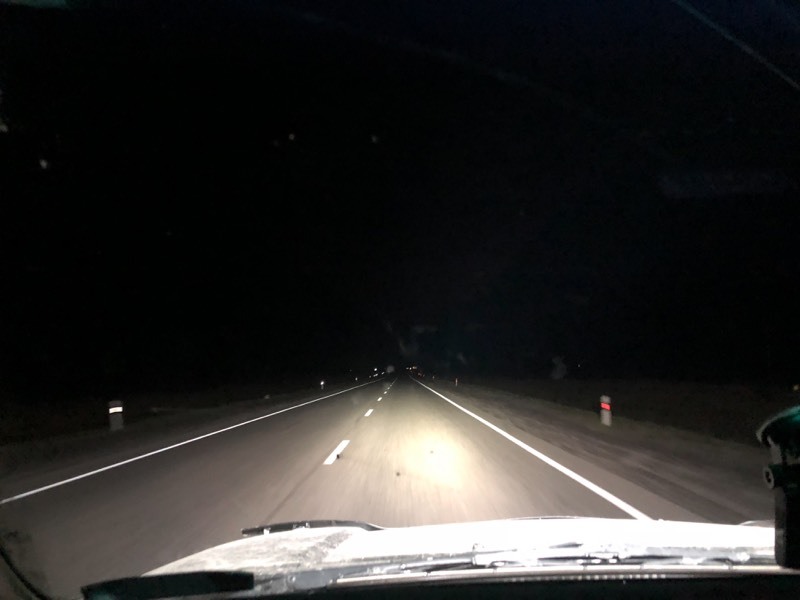 Since it takes about 4 hours to get to Stepantsminda from around Tblisi (we were probably quicker the second time, as we didn’t stop to take as many photos), it was dark by the time we reached the border. The border crossing is very badly organized, with hardly any proper road surface between the two countries. Trucks, buses and cars negotiate their way as best as they can among the unfinished building works and through the rough tunnels in between the two border posts. 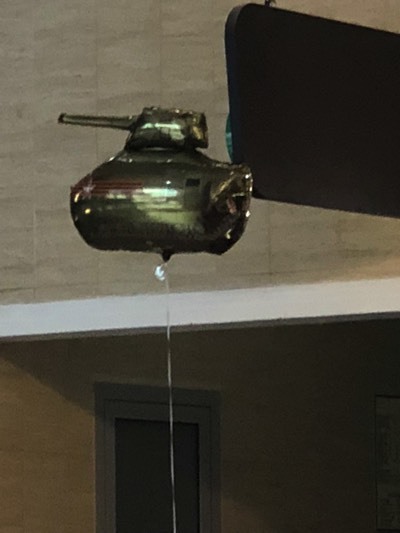 The process to leave Georgia was relatively quick, but the Russian side was as bureaucratic as I expected. 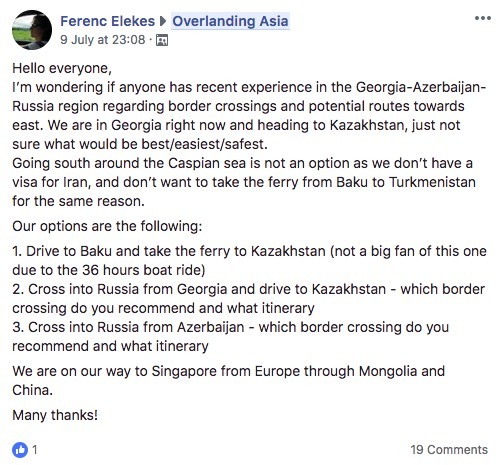 The reason why I checked the option of driving through Chechnya in the Overlanding Asia Facebook group is because of the place’s reputation thanks to its recent history, and because it’s not easy to find reliable information anywhere else. I often find that places categorized as dangerous or ‘not advised to visit’ by mainstream media or government agencies are fine. The same goes for Chechnya. 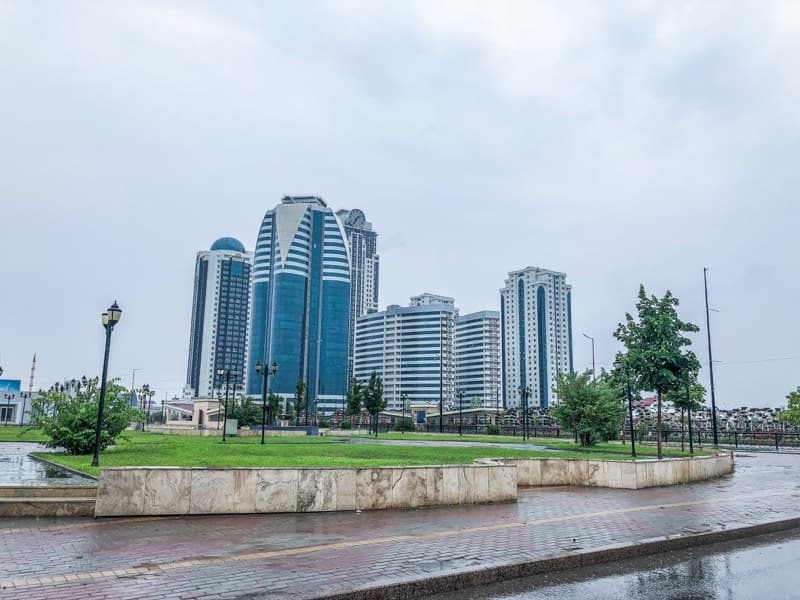 If you didn’t know about the two Chechen wars that twice demolished Grozny to the ground, it would be difficult to tell from how the city looks today. 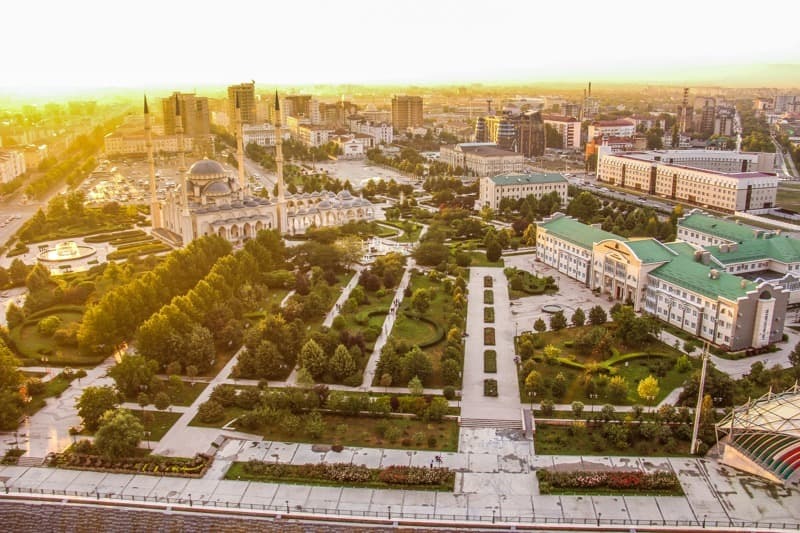 The center is occupied by 6 high-rise hotels and the main mosque, with very clean and tidy parks around them. The road is busy with modern(ish) cars and everyone going about their business as usual. 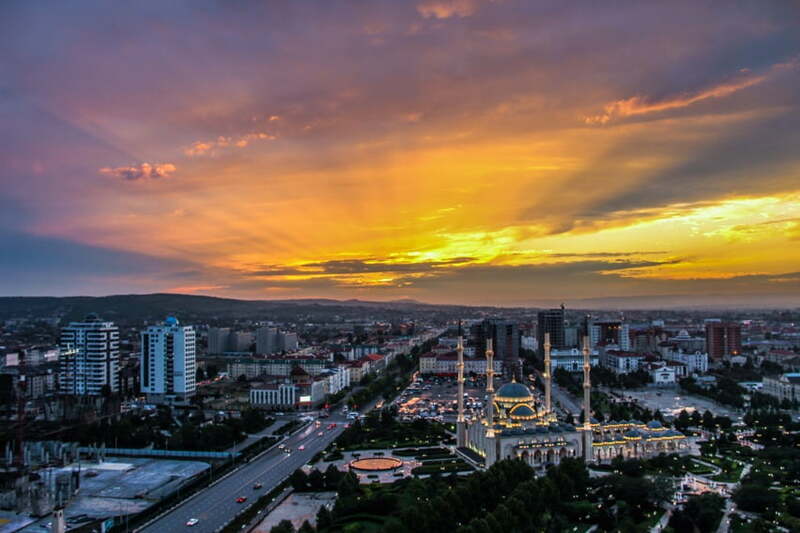 We spent a couple of days in Grozny, staying in one of the nicer hotels in the center. Since we were in a hotel we caught up with some blogging and picture editing again, as well as watched the soccer World Cup Final. We only had one stroll around the place when we left the hotel compound (which is heavily guarded and surrounded by a high fence). This is when the city’s vibe came through a little bit. People appear to be a bit angry, bitter and depressed, and very few people smile when you interact with them. It comes across as (and probably is) a very male-focused place. There are very few foreigners so understandably, visitors have to get used to people staring. 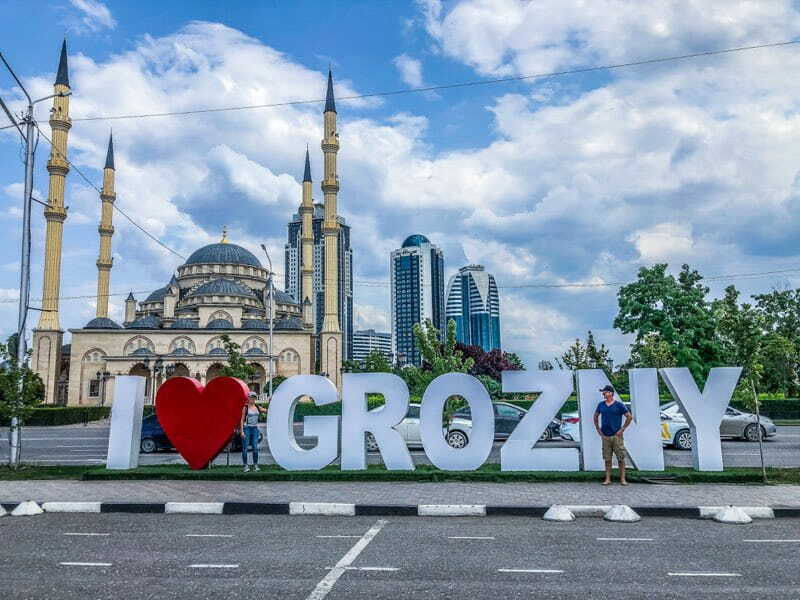 So perhaps Moscow invested a lot of money to rebuild the Chechen Republic, but judging from the vibe we experienced, I don’t think the people are as unscarred as Grozny itself. 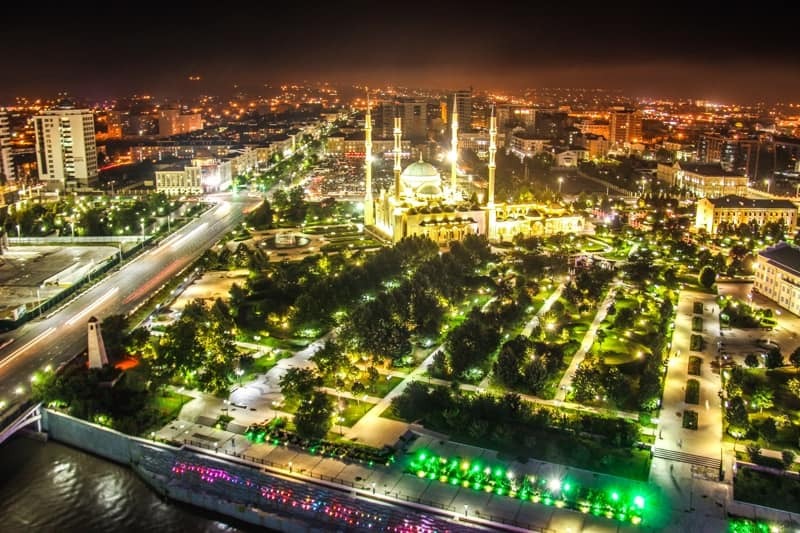 I very rarely say this, as traveling is one of the most important aspects of my life, but I was quite happy to leave Chechnya the next day. So far, Mauritania has been the only other country where I felt the same way.